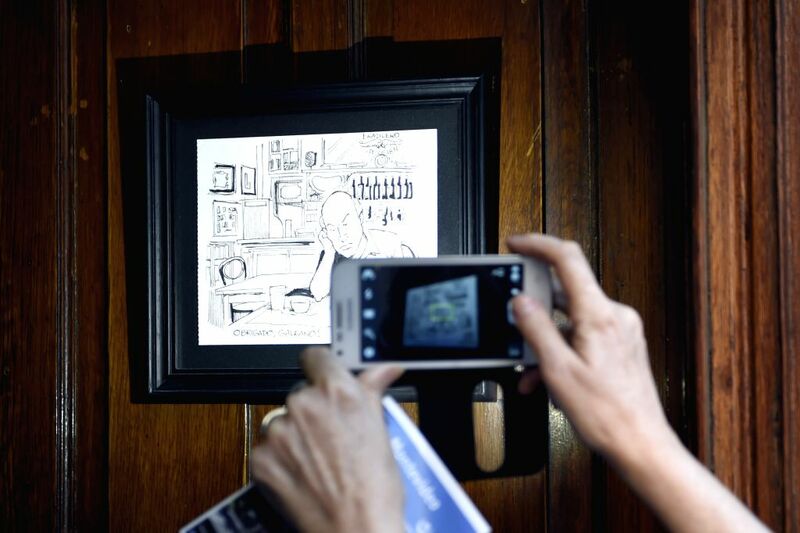 MONTEVIDEO, April 13, 2015 - A tourist takes a picture of a cartoon of the Uruguayan writer, Eduardo Galeano, in the "Cafe Brasilero", which he used to visit, in the Ciudad Vieja, in Montevideo, capital of Uruguay, on April 13, 2015. Uruguayan writer Eduardo Galeano, author of "Open Veins of Latin America", died on Monday in Montevideo at 74 years old. 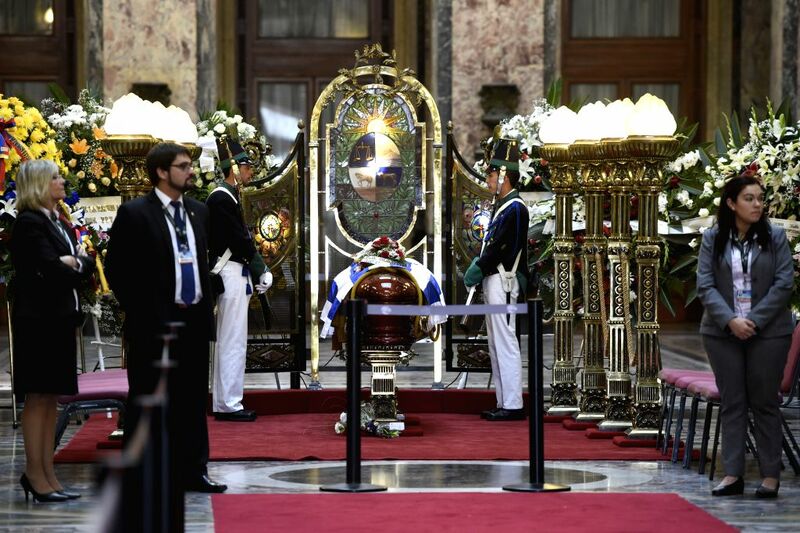 Members of an honor guard watch over the coffin of Uruguayan writer Eduardo Galeano in the Lost Steps Hall of the Legislative Palace in Montevideo, capital of Uruguay, on April 14, 2015. Uruguayan leftist writer Eduardo Galeano, author of the seminal book "Open Veins of Latin America," died Monday in Montevideo at the age of 74.